Save Total provides a way to create a single file describing a class with all depended classes included. This is useful when you want to send someone the model without having to provide them with the full libraries being utilized by the library. Note that encrypted files are not included and the user will have to obtain these and any licenses required to use these libraries. If the model is stored with Save as type set to Modelica Files (.mo) then only the Modelica code of the class and the dependent classes will be stored. 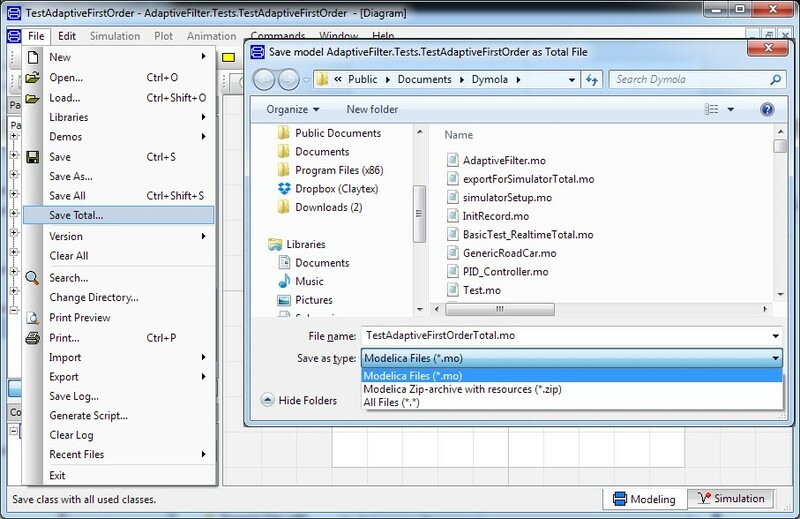 To export a model that has external functions and data file, store your library using the hierarchical file structure (see https://www.claytex.com/blog/saving-a-modelica-library/) and store all external code and data in a Resources folder. 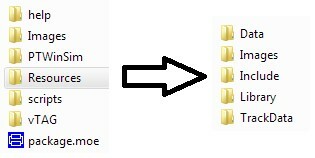 The following image is the hierarchical structure of the Simulator library, this contains a Resources folder. When using Save Total with Save as type set to Modelica Zip-archive with resources (*.zip) then the model is saved with all the files in the Resources folder also stored. Further information about Save Total can be found in the Dymola Users Manual Volume 1 in Section 4.6.1.